Before Christianity became the official state religion of the Roman Empire there was another Christianity  that of the Gnostics. It was the most popular form of Christianity and totally at odds with the official religion! For a start it rejected the official version of God, seeing God as an inferior being who allowed evil to flourish. They also rejected the crucifixion, claiming that it was a perversion of the true story and meaning of their Christos! Also anathema to the official version, Gnosticism had a system of magick. It believed there was no need for bishops and priests, that through gnosis  self-knowledge  and magick the believer could access the Infinite Power directly and be amply rewarded! This Power they called the Pleroma, source of all that is Good and True. Now, 2000 years later, the modern reader can enjoy the fruits of this magick! And never has magick been so easy! No rituals! No candles! No visualization! 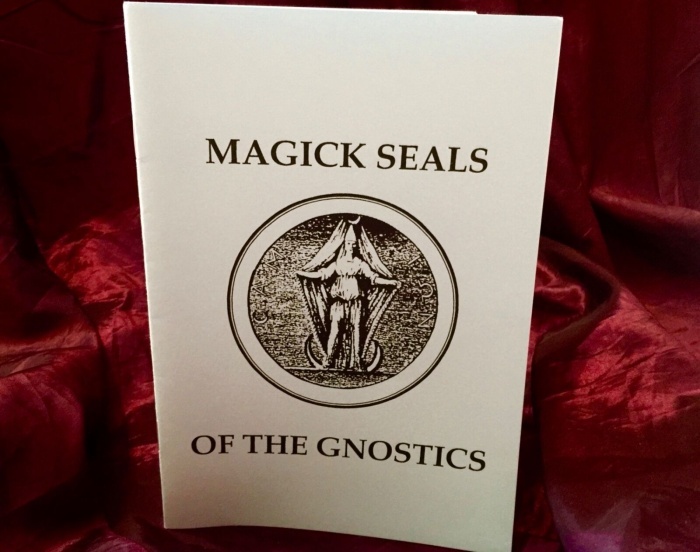 All you need are the Seals of Gnostic Magick which can be copied or cut out from this book! Results are sure and certain, says author Robert Curthose! * PROTECTION FROM EVIL AND BANEFUL INFLUENCES! * PEACE, HARMONY AND BLESSINGS IN THE HOME! * AN ABUNDANCE OF MONEY, GENERAL GOOD FORTUNE! * ACCOMPLISHMENT OF AMBITIONS, INCREASED SELF-CONFIDENCE! * SUCCESS IN MATTERS OF THE HEART! RECONCILIATION! These Seals transmit your desire to the Pleroma, bringing it to fruition.